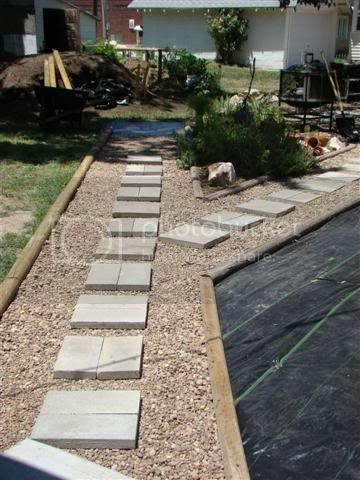 This entry was posted in Container Gardening, Front Yard Farming, Photos, Ramblings, Uncategorized and tagged arbor, Container Gardening, morning glories, tomatoes, trellis, walkway, weather. Bookmark the permalink. Thanks for the pictures! 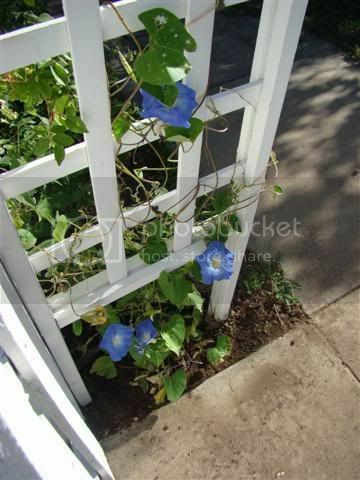 I tried to grow morning glories, but to no avail. 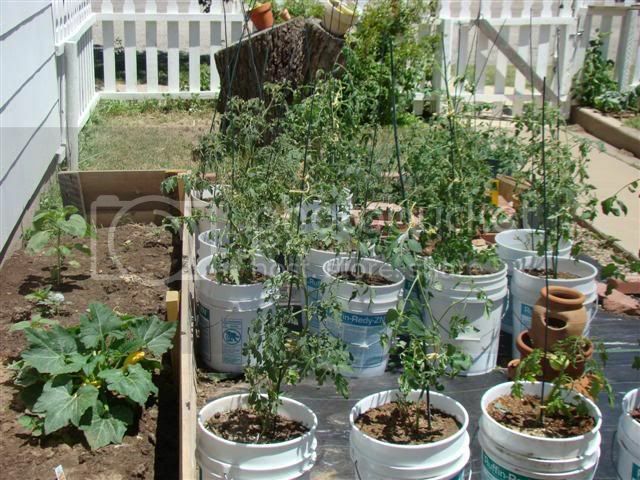 I can’t wait to see how your tomato buckets grow. I have no place to rotate my tomatoes next year so I may have to try it. I love your blog, just quirky enough to be lovely and endearing and definitely a place I want to come back and visit. Your patio, garden is looking fantastic and I anxiously await seeing the next photos. I must admit that you have far more ingenuity than I do with your solar cooking attempts – OMG!!!!! Keep blogging so I can keep reading. Thanks so much Mamaflo. I am glad that you stopped in for a bit. My commercial solar oven will not be here until July and I can hardly wait. We have had such bizzare weather lately that I have not even attempted to cook in my homemade cookers. Love the pictures! 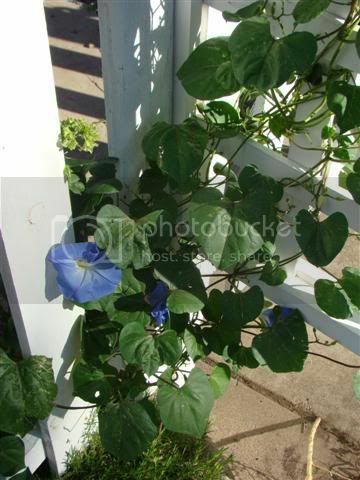 The morning glories are so pretty! And I love the new blog look. Excellent banner! OMG! I love your blog! I see you are on Entrecards. How did I miss you?!?!? Love your site, will be back. Adie, Thanks, I am slowly getting back into the swing of things. When it’s busy, there’s not time to write…when there is time to write…hmmmmm. Lewru! Good to see you! Thanks. I am still not totally set with this layout, but since I am totally CSS stupid I may have to stick with it for awhile. I stopped by your place for a moment, but didn’t have the time to read. I’ve been wondering about your solar attempts and glad to see that you posted. Maybe we need to get Frau to hold a solar class!